If you want to know what kind of high you’ll get from THC Bomb, just look at the name! This strain is jam-packed with THC – giving smokers over 24 percent THC content when it’s smoked. That’s a lot more than the 17 or 18 percent you’ll find in some other strains. But if that still doesn’t convince you, just look at those nugs (if you’re lucky enough to have some of those lying around!) THC Bomb got its name for one reason, there’s a ton of THC crystals in those buds, truly making it the bomb! The main taste you’ll get from THC Bomb at first is a deep earthiness, very skunk-like. The pine taste will come on the exhale, and there’s where you’ll find perhaps a hit of lemon or citrus fruit as well. There’s no doubt though that this is a skunk-dominate strain, so you’ll taste a lot of that skunk flavor, and that scent will also fill the room when you smoke it. Remember, this is a fairly potent strain and so the smoke or vapor is going to be extremely potent as well. Be sure to have some odor eliminators on hand if discreetness is an issue for you. The smell is so strong you will get a face full of it just from breaking up the buds. THC Bomb is potent! Being an indica/sativa mix, you might come down with a case of the giggles immediately after smoking, but that sativa will quickly wear off, allowing the indica prominence of this strain to take over. What you’ll mostly feel? Relaxed. Stress will almost immediately be lowered, as you’ll be filled with satisfaction and just generally start feeling as though life is good overall. Happiness is the overall feeling with THC Bomb, but it’s not an energetic or euphoric happiness – just general contentment. That feeling will last for some time, as well, as the buzz will last anywhere from 2 to 4 hours, depending on body type. But you definitely won’t have to hit the bong again for some time after smoking some THC Bomb. Because it’s such a relaxing strain, THC Bomb is a great stress reliever and so, appropriate for patients suffering from PTSD, anxiety disorders, or anything else that’s causing them any amount of stress. THC Bomb is also known to be one of the best pain-relieving strains you can find, and can also help with insomnia (thanks to that indica), and a lack of appetite. Because it’s such a smooth smoke, this strain has also been said to be very good for people with asthma, because it won’t cause the coughing and choking that some other strains are particularly known for. But nothing is perfect, and this is also the case for THC Bomb. Because of its sheer potency, it also brings some pretty strong side effects. Feeling dry eyes is the biggest one, so if red eyes are an issue for you, you may want to keep some eye drops on hand while smoking. Dry mouth and major munchies are the other negative side effects that are known with this strain, but all of these are fairly common with any marijuana strain. THC Bomb will provide a huge crop whether it’s grown indoors or out, although the plants themselves don’t actually grow that large. Being an indica strain, it’s going to stay fairly short and bushy and won’t reach to the sky – which can be a bonus for some growers! Those plants will be laden with huge buds that aren’t only large, but are also rock-hard, and so dense that even the grower will be surprised by how much marijuana one bud will supply once it’s fully trimmed and properly cured. You can tell how much THC this strain has just by looking at it close to harvest time. It’s covered in fat trichomes, so much so that they really are the first things you see when you look at any given bud. It’s enough to make even the biggest connoisseurs salivate! And growers won’t have to wait long for that harvest either – this plant flowers in about 56 days and should fully mature within 7 to 9 weeks. There’s a reason THC Bomb is one of the most popular strains out there. It’s incredibly potent stuff that will leave you high for hours! That high will be nice and relaxed, giving you a nice body buzz that will let you let you settle into the couch, and make any show you’re currently watching that much better! Just like to say you guys are great... So many sites out there send ya anything... From you guys I've always got what I ordered and made fantastic mother plants out of your gift just to try.... It's permanent in my rotation now... I have never had one of your seeds not germinate... I've messed few up on my own... Perfected now.. Just wanted to say I got luck on my first choice of seed companies very happy with you guys. I would like to purchase some thc bomb how do I go about it I'm not sure. I have grown THC Bomb plants for three years. I grow outdoors and I've converted most of my crop to (alcohol) extracts and oils; much better on my respiratory system than smoke. The one thing that I've noticed is that the high lasts a long time, for at least three hours. And it's hardy, 100% success rate from seed through harvest. And it was the first strain I tried to grow. My major reservation is the name. In this day and age the very suggestion of an explosive device (innocent though it is) is enough to spook people and discourage growing the strain. VERY VERY STRONG EARTHY ODOR!!!! Outside not too bad but bring it in and it'll about knock your socks off! Where can I purchase thc bomb seeds? I had a batch of seeds from MSNL that didn't germinate. I reported this to MSNL. They took this matter very seriously and made sure the seeds that did not germinate were replaced promptly. I know that's a lot of trust by MSNL as anyone can just say they had bad seeds. That's why I am writing this comment. I have never had bad seeds before and have not had occasion to say I have ever since. Sometimes things just happen. Maybe the scanners the post offices use killed the seeds, maybe something else. Who knows. 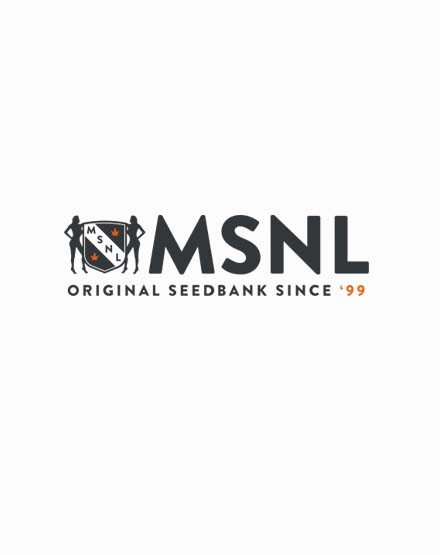 What I do know is that MSNL deals honestly with their customers and I do recommend that all the people I know buy their seeds from MSNL to get the best in quality at a fair price, dealing with an honest company. been a customer for a couple years now.always a plus service and 100% satisfaction.you guys are da bomb!!!! Grown at 7000 ft., good producer, crusty with trichromes. Produced enough for two for the year, out of 10 seeds. 3 to 4 ft plants (grown in 100 gallon tree containers) due to writer's late start outdoors in June, harvested 10-5 thru 10-15.